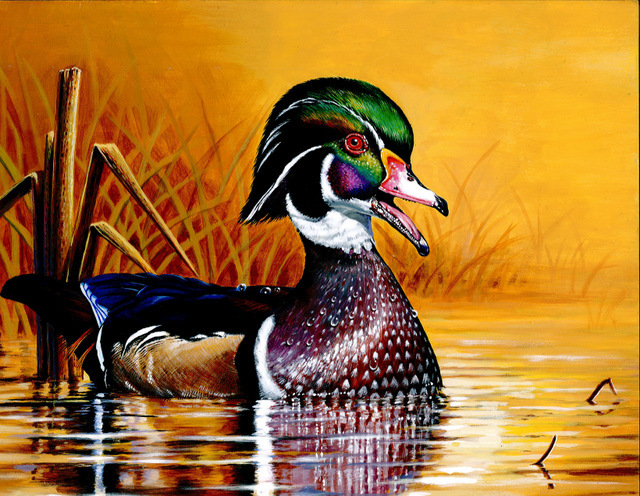 Several folks voted for their favorite Junior Duck Stamp illustrations by young North Jersey artists. 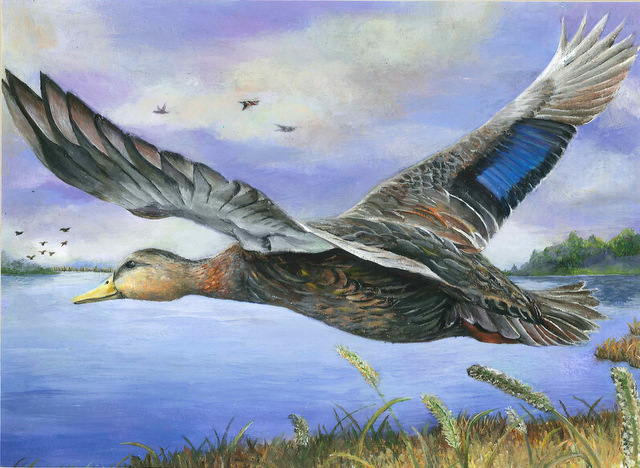 All 33 of the Junior Duck Stamp entries from New Jersey are on view in DeKorte Park's Flyway Gallery through January. The winner, in a very close three-way vote, is "Flying Across the Lake," above, by Sung-A Kim, 17 of Norwood. 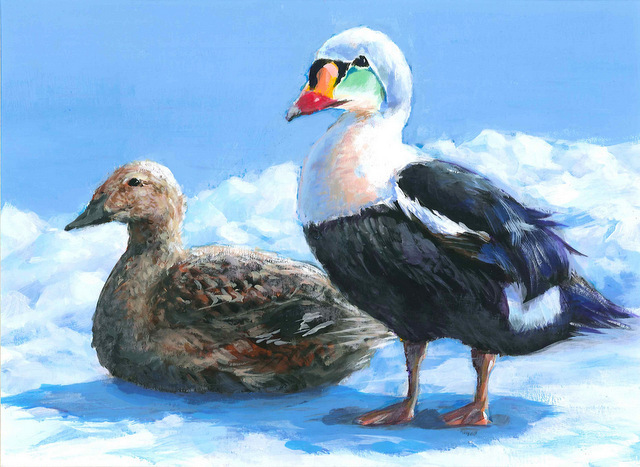 Second place is "Eider Couple," below, by Erica Oh, 15, of Demarest. Third place, bottom, is "Departing through the Sunset," by Jaeyong Sung, 16, of Tenafly. Come On Mike, The only thing getting old with the PS3 is hinavg so many varieties, yet cutting features out.The only thing I don’t care for with the red and white concept, is the big flat area where you insert the disc.